The NetLink Trust TP contains optical fibre cables and connects to the rest of the Next Gen NBN. It’s a physical line from your address to the wider network. To see if your address is ready for fibre broadband, perform a coverage check on the NetLink Trust website. If your TP is installed, NetLink Trust takes 1 to 4 weeks to test the end-to-end connection to your TP, and to update their databases. You are ready to use fibre broadband.Congratulations! NetLink Trust has successfully installed the Next Gen NBN infrastructure in your area and wired up your building. You are not able to use fibre broadband because the TP is not installed in your unit. To get NetLink Trust to install the TP at your address specifically, additional NetLink Trust charges will apply. 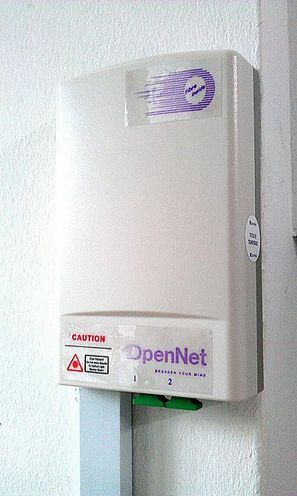 For high-rise residences, the NetLink Trust charge for TP installation is $160.50. For landed premises, it is $288.90. Sign up with our selected promotion (click here) and get the TP installation charge waived! Upon sign-up with MyRepublic and your address is Home Passed, MyRepublic will coordinate with NetLink Trust to schedule all the installation appointments required. You do not have to contact NetLink Trust directly for your TP installation. In fact, MyRepublic will schedule both installation appointments together which is usually much faster. You are not able to use fibre broadband yet. NetLink Trust has not installed the Next Gen NBN infrastructure in your area. If you have previously used fibre internet, you may face additional delays due to insufficient fibre capacity. More details can be found here. To use fibre broadband, NetLink Trust will need to install a TP on your premises unless the previous occupant of your location, or your landlord, has arranged for the TP to be already installed. The standard NetLink Trust cost of installing the TP is $570.31 (may apply).